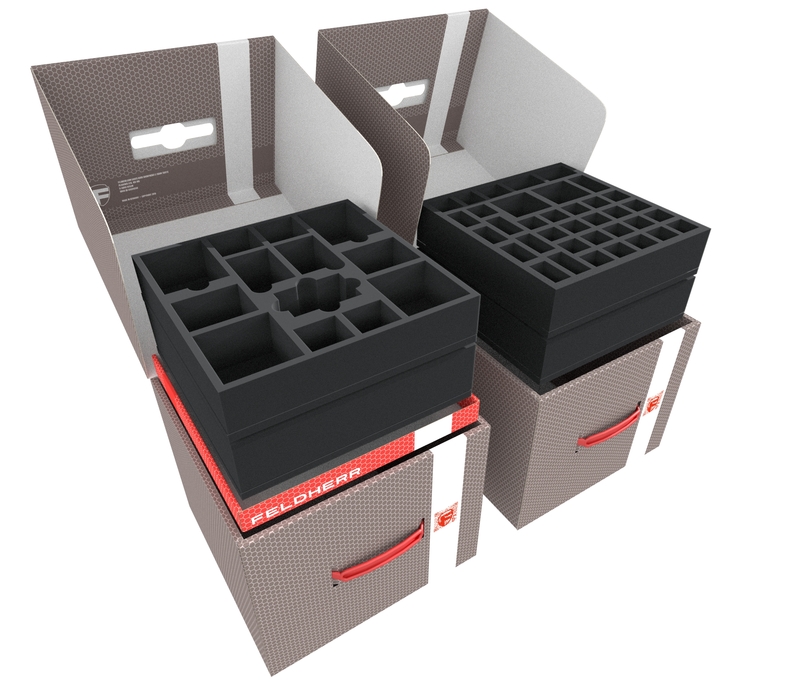 This Set let's you organize, store and safely transport the Kickstarter core game and all expansions, extra packs and add-ons. 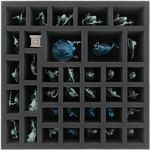 Whether you went all-in during the first or the second Kickstarter campaign (1st Printing or 2nd Printing) for Folklore: The Affliction - you're in immediate danger of drowning in a maelstrom of game components. Alas, fear no more, Feldherr is here to the rescue! 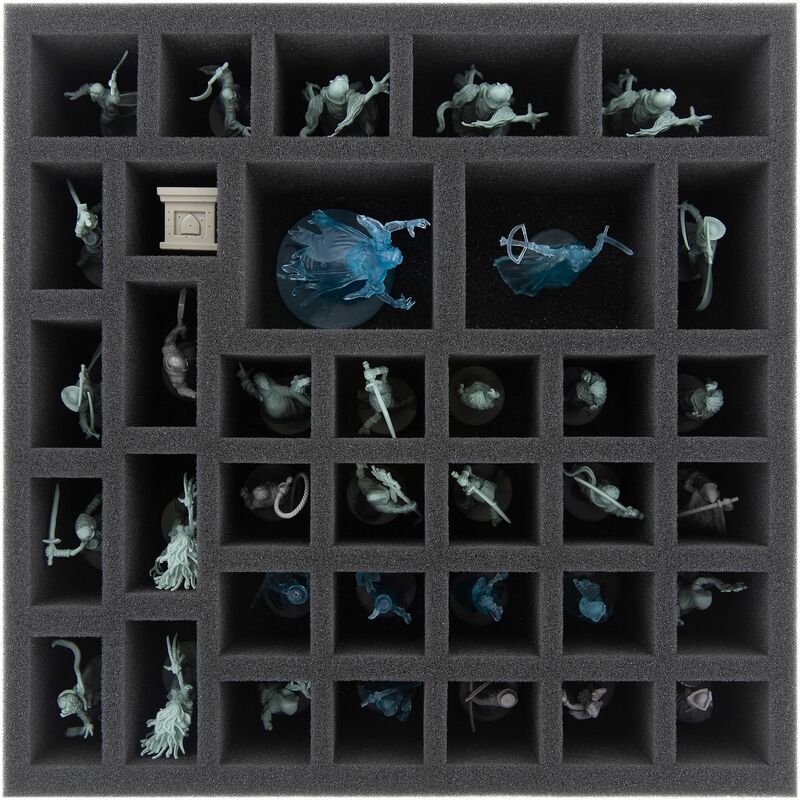 Our Transporter Set, which contains eight custom foam trays, two stable storage boxes and one sturdy Transporter bag, will hold it all: Core boxes, expansions, add-ons, extra-packs, metal leader token, trackers. 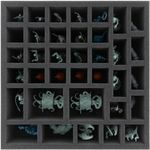 Restore order: Four trays for your minis, four trays for (sleeved) cards, tokens and accessories. Demonic flames, Death hands, Ame Hara, Wraith and all the other beautiful figures are clearly sorted and always within your reach. 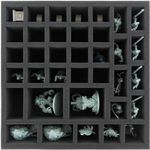 Endless arrays of Tokens, standees and (sleeved) cards are finally organized and safe from disappearing in the chinks of your sofa. 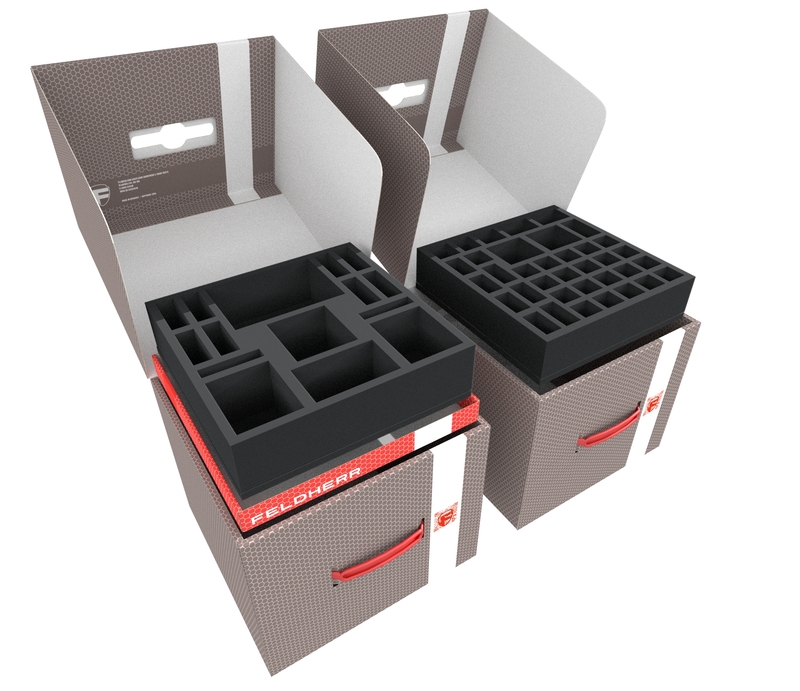 Provide protection: Tailor-made compartments keep your models safe – no chance of breaking Colossus Dark Oak’s branches even if you tried. Safeguard paint: Our super-soft foam reliably prevents scratches. 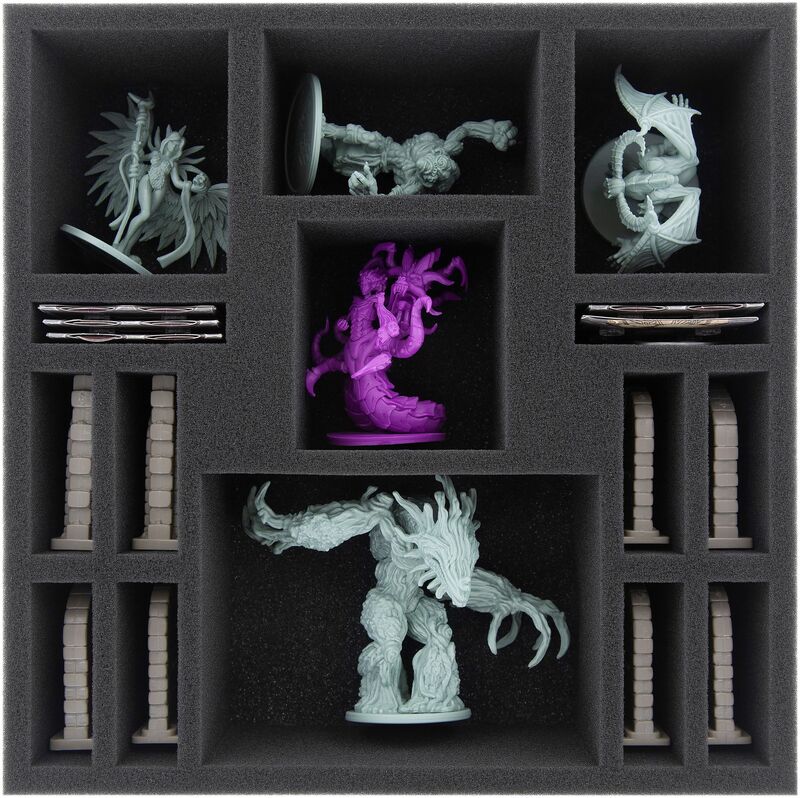 If you decorated your minis, the Set will make sure they keep on shining. 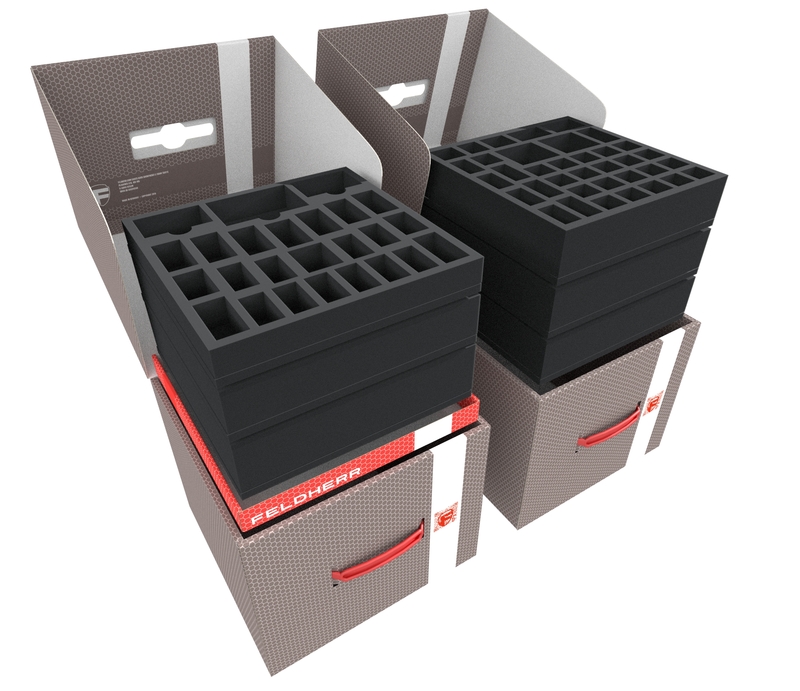 Allow space saving storage: Two stable storage boxes safely hold all the trays. Close the lid, stow it in your shelve, watch your roommate smile. 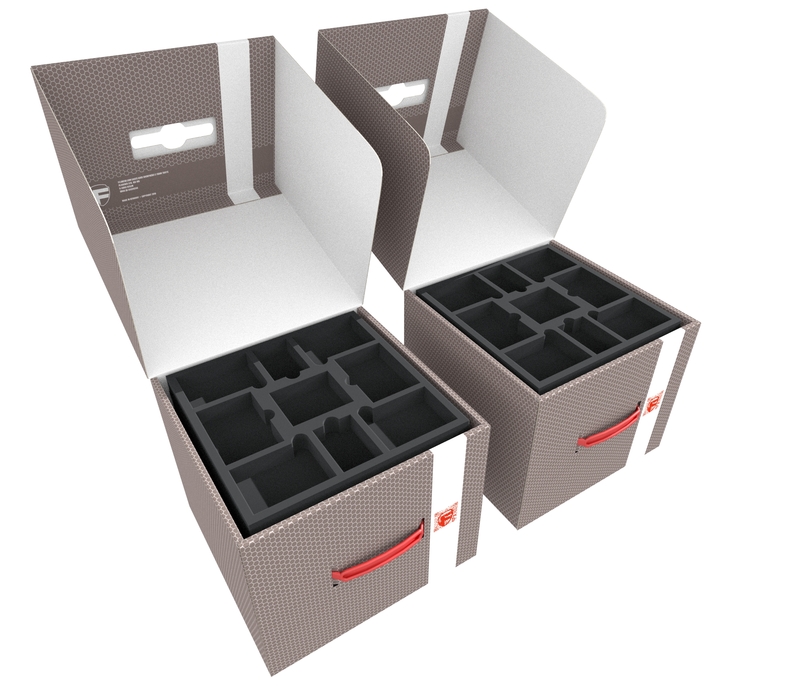 Make Transport seamless: The storage boxes fit exactly into the bag – all components stay where they belong, even when the bus driver has a bad day. Two handles and a shoulder strap ensure smooth and easy transportation – you’ll arrived all relaxed at your friend’s place. 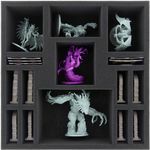 The Set also includes two foam toppers and a cardboard insert for a storage box. 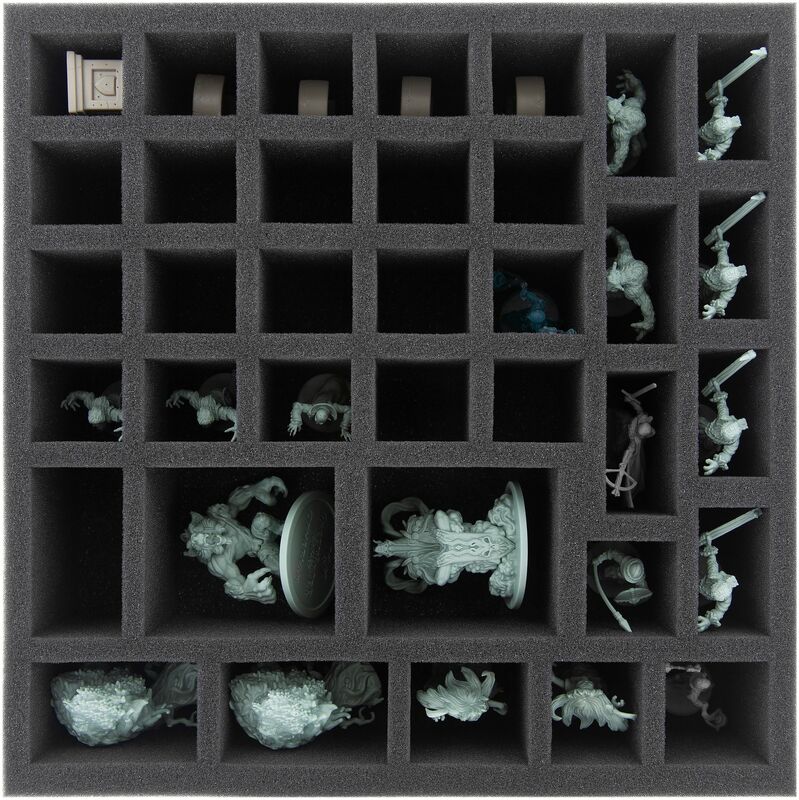 The stable insert will aid you in moving heavily filled trays and ensure that the soft foam doesn't give way. 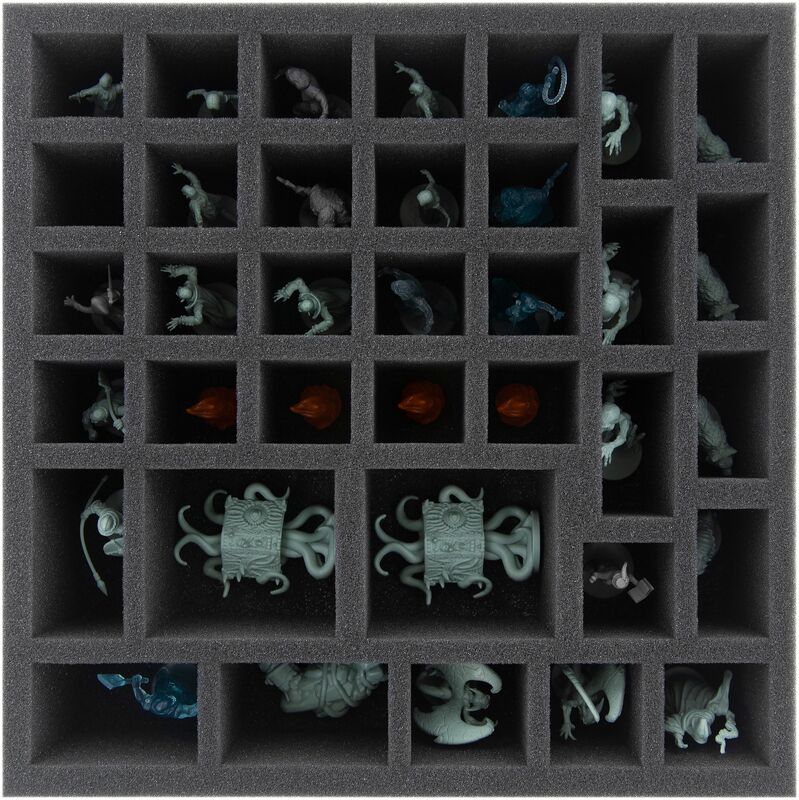 The foam toppers are laid on the uppermost trays to protect the components from falling out. When you're done packing, you place The Rule book, Collector's bag, Neoprene Player Mats, Sheets and the World Map either on top of the foams inside the storage boxes or on top of the storage boxes inside the Transporter bag. Now you're all set. 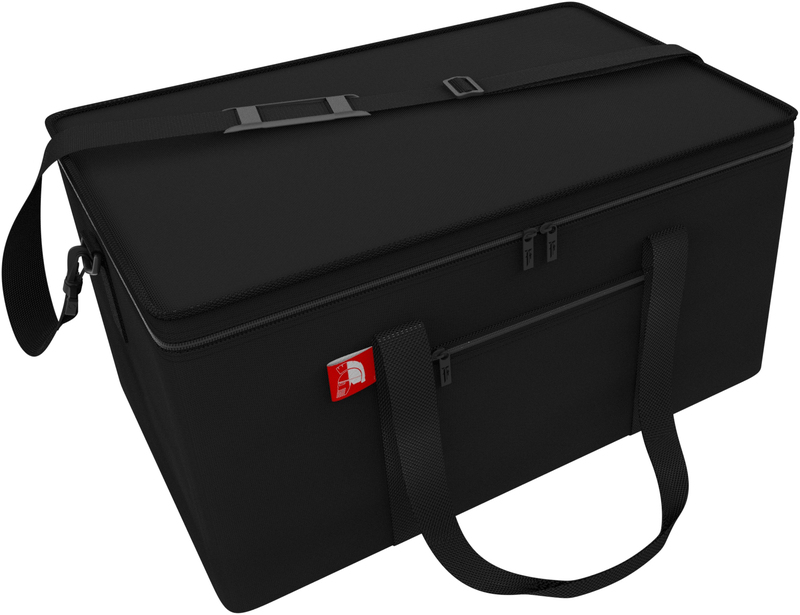 Dimensions Transporter Bag: 600 mm x 380 mm x 320 mm inner dimensions. 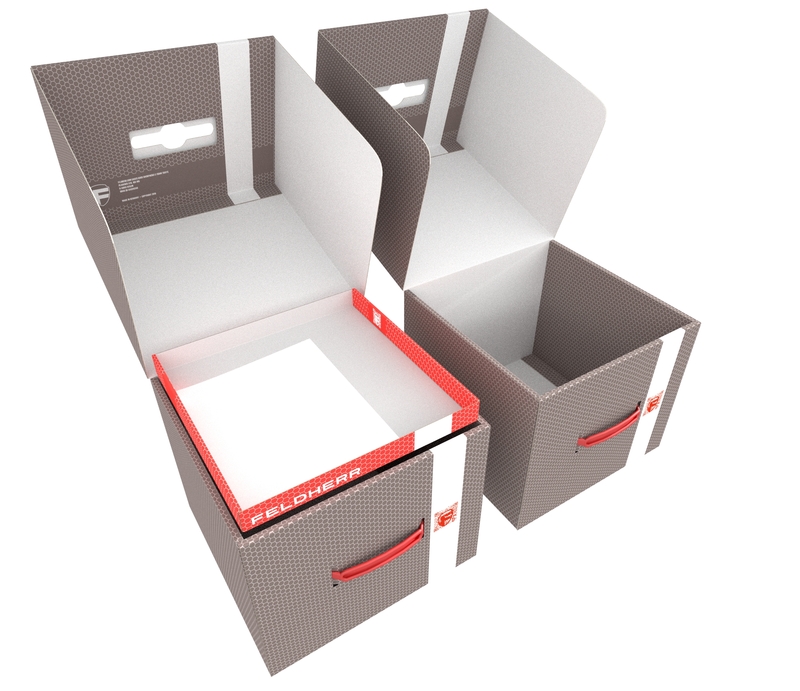 615 mm x 400 mm x 330 mm outer dimensions. 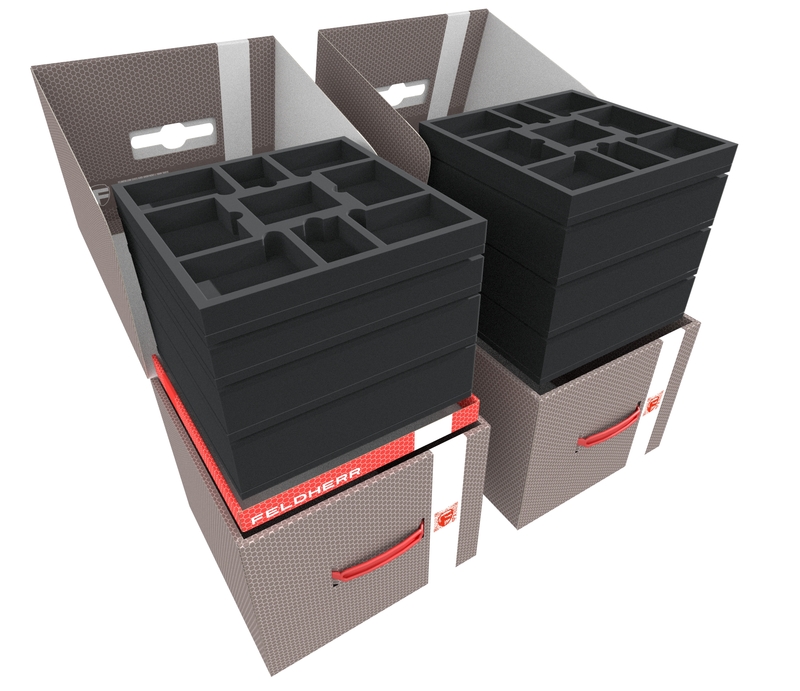 Dimensions Storage Boxes: 300 mm x 300 mm x 250 mm inner dimensions. The outer dimensions are slightly greater. 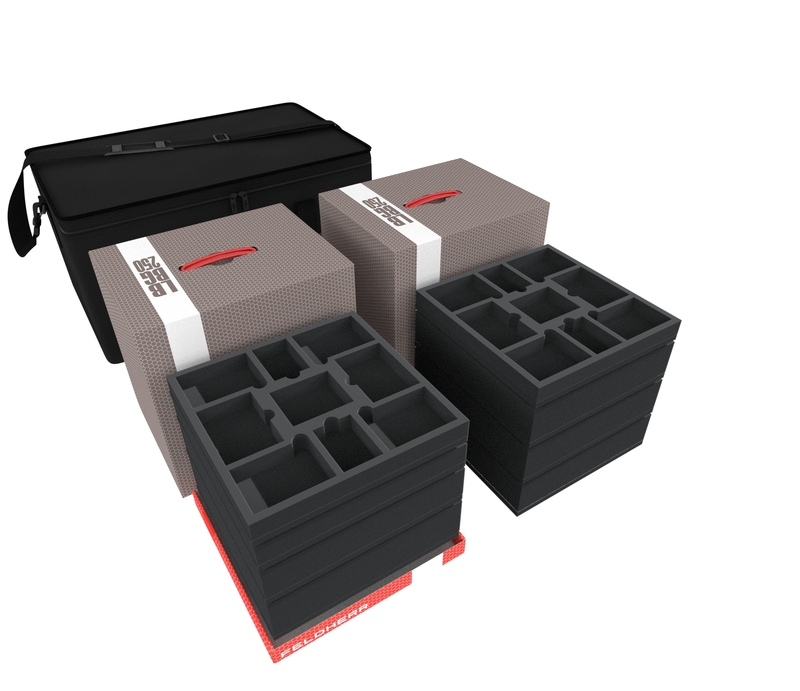 Dimensions Storage Box Insert: 296 mm x 296 mm x 25 mm inner dimensions. The outer dimensions are slightly greater.